Hannah is simply wonderful. She is pleasant, thoughtful, accommodating, and has an eye for the details! Hannah clearly not only cares about the quality of her work, but also about the happiness of her clients. If you ask, she'll make it happen! 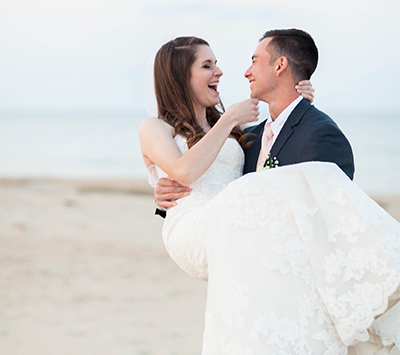 My husband and I so appreciated Hannah's laid-back, easy going attitude; it made a stressful wedding season much easier to handle knowing that we did not have to worry about where our photographer would be or what quality of pictures we would receive. Further, her price is so reasonable compared to other photographers you will find who offer lower quality. If you're considering Hannah for your next photography need - the short of it is: hire her! What a wonderful and talented lady. She is extremely professional, personable, organized, creative, and passionate. We always felt well-informed and had several meetings to discuss our expectations and unique requests. She made sure to capture what we felt was most important to us. We received the photos quicker than anticipated and they were absolutely fantastic. She is knowledgeable about all the many different aspects of photography and it shows. It is also apparent that she loves what she does. That is one of the main reasons we loved having her as a part of our big day. She was an important asset and she did not disappoint. Hannah was absolutely amazing! She was super flexible with my schedule and was very accommodating with my requests. She did an outstanding job on my headshots as well as my senior year photos. I would use her again and again, she is the best. She was so professional and was extremely quick to get all my photos back to me shortly after my session with her. 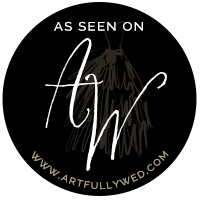 I was more than satisfied with her work and would definitely recommend her to anyone looking for an outstanding photographer who is so friendly and cares that you are happy with her services. Hannah is truly the best. I often told Hannah this on my wedding day, but she is truly a rock star! There were a lot of unexpected things that came up and the weather was unpredictable, but she kept her cool through it all and gave clear, helpful directions with poise. We are SO happy with our photos, they capture our day beautifully! Hannah cares about the details that make things special and unique, and I felt that the pictures she took authentically portray us as a couple and what we value. Hannah will go the extra mile without even being asked to - she put forth so much more effort and care the day of the wedding than I was expecting and she is very talented. We have gotten to know her pretty well and now consider her a friend, and we are so excited for the rest of her career as a photographer!